Fort Scott Community College's Meat Judging Team is one of the most decorated meat judging teams in the country. The team has claimed 4 of the national championship titles in the last 7 years (2010, 2012, 2014, and 2016) and 2 reserve national titles in those 7 years (2013, 2015). Meat judging team members identify, evaluate, and place cuts of meat to determine the quality, leanness, and composition. 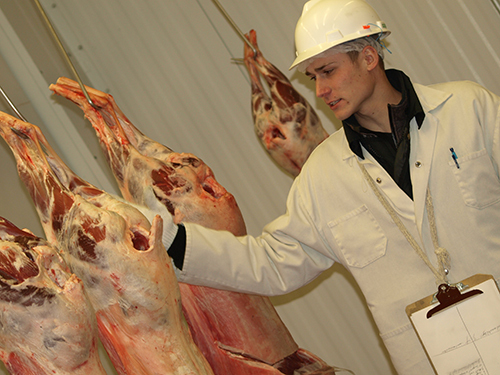 Through the program, students learn leadership, critical thinking, and communication skills as well as proper meat storage and handling procedures. Twelve to fifteen students participate each year on the team. All team members get the opportunity to travel and compete, but only four will have their score counted for the team at a contest. 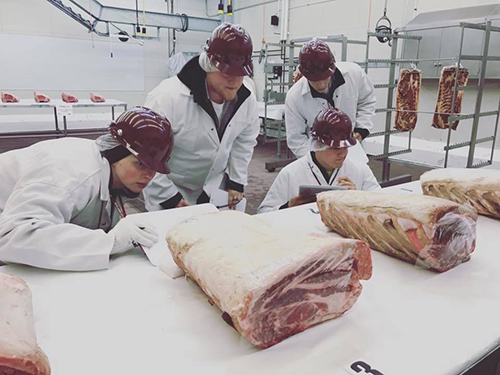 Meat judging categories include beef grading, beef judging, lamb judging, overall beef, pork judging, total placing and total reasons/questions.